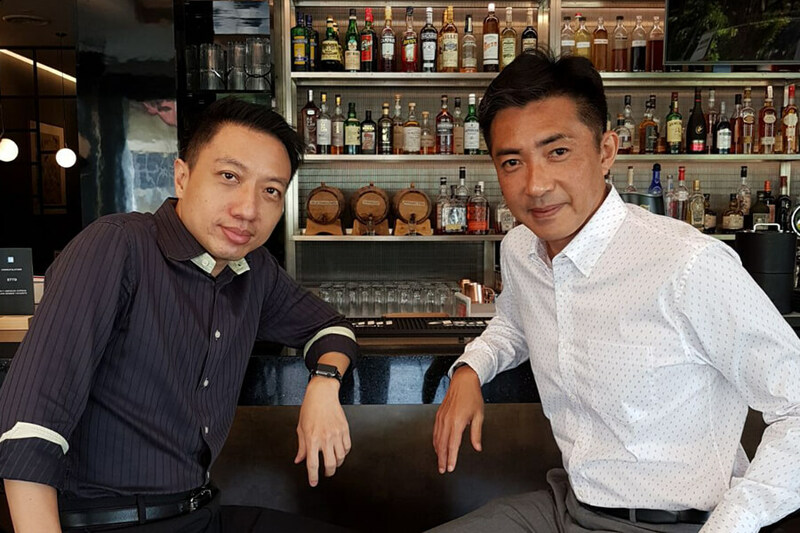 The cherry on the cake was having the chance to work with veteran actor, Mr Bernard Chen and part-time actor, Mr Daniel Tan, who are both certified financial planners and took up this filming project on a voluntary basis. 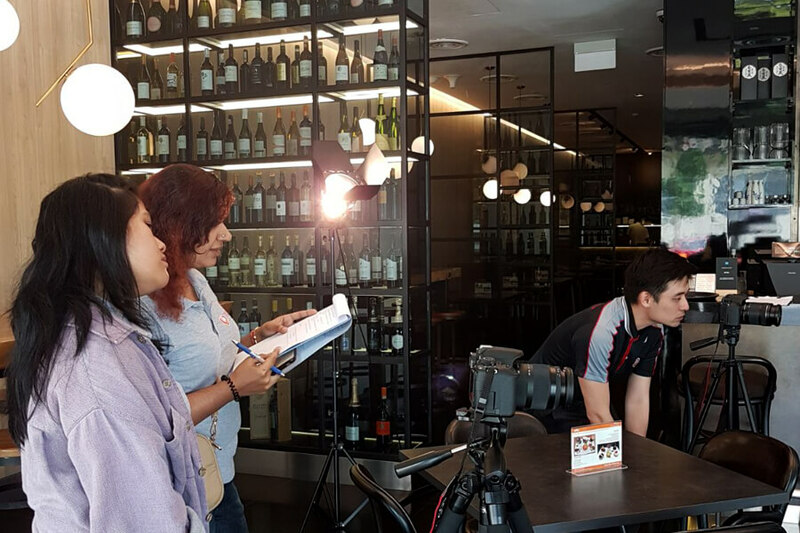 You could call it a breeze working with experienced actors who will save you time from NGs (no-good takes), but we say it can be pretty stressful too, especially when our Business students only dabble in video recording as a personal interest! Even though I’m not a film student, I took up this opportunity to broaden my horizon and gain experience. I was nervous initially as the actors were professional. However, I did my best and the outcome was good. Hope there would be more similar opportunities for me to explore! 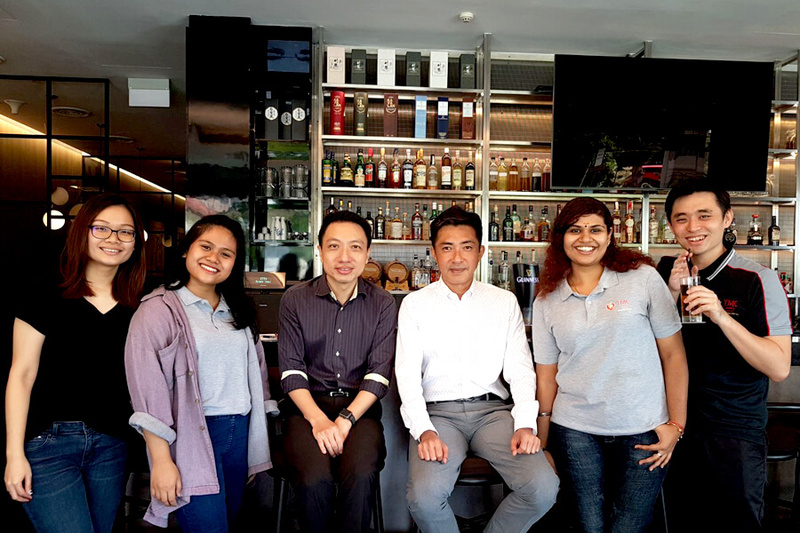 After the filming session, the students were treated to lunch where our certified financial planners / professional actors shared their work and life experiences, which are invaluable. It was such a great experience working with them and I gained so much knowledge and experience. 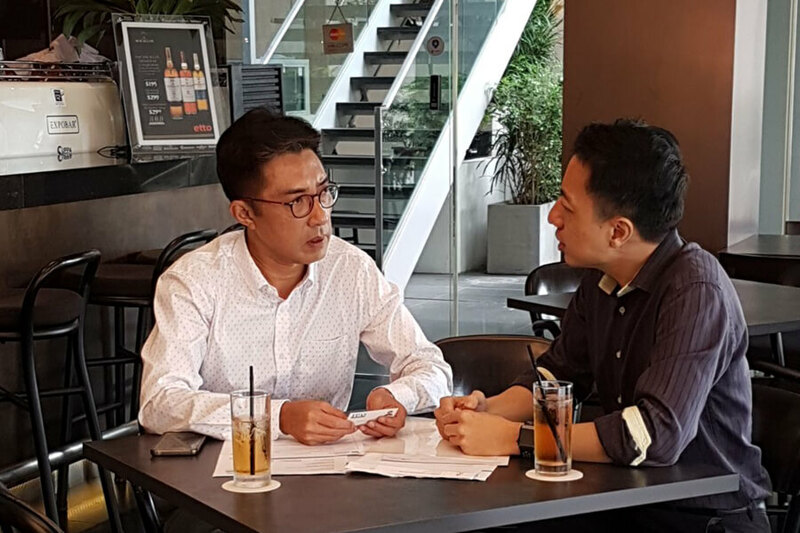 I learnt that when producing a film, it is not only about cameras and script but also similar to business, where there are different strategies in order to achieve the best result. So there, as a student at TMC Academy, as long as you have the courage to try and the willingness to learn, there are plenty of industry-relevant and hands-on projects that you can be engaged in and amass as valuable experience while studying. Feedback from our partner, FPAS has also been positive! We cannot wait to showcase the final video when it is ready! Are you game for more challenges? Join TMC Student Club to have first dibs on exciting opportunities like this one! Drop us an email here to register your interest. It was such a great experience working with them i gained so many things. I learnt that in media corps is not only about cameras and script but also similar to business there is different strategies in order to achieve the best result. One of them as an example: The media corps people must come up with a brilliant ideas in order to create something different for the audience. Similar in business we must come up with a different ideas in order to compete in the market. So after all, there is always something new to learn.